At Provenir Cuisine and Cellar we aim to treat our guests to an exquisite dining experience that delights the senses and pushes the boundaries of culinary innovation. Provenir is headed by Executive Chef Marcus Berndt who is gaining great fame in Northland for his take on fine-dining. Marcus blends vibrant New Zealand produce with international cooking techniques to come up with dishes that excite. Marcus's team of chefs take great care in the preparation and creation of every dish and their passion for food really shows on the plate. Provenir's menu will truly delight and with a few surprising extras you wouldn't expect. 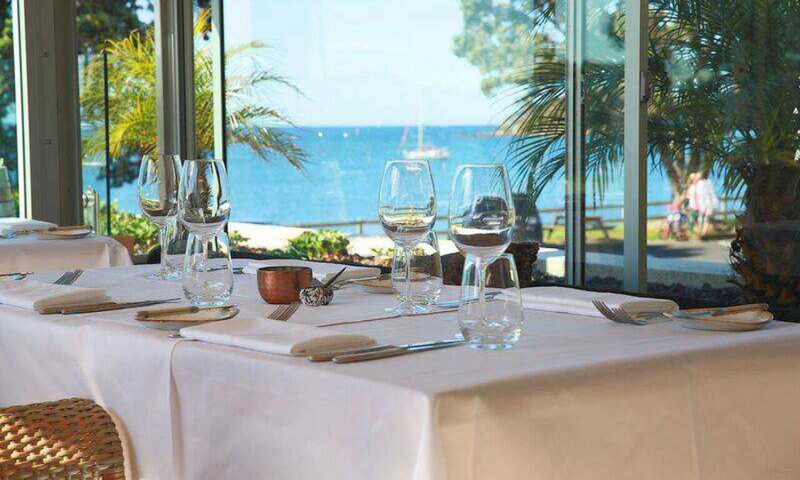 With our small restaurant we can offer a more intimate dining experience surrounded by decor that is warm and inviting, this is if you can take your eyes away from the unspoiled views of the Bay of Islands! Provenir's cellar offers an extensive range of premium wines from New Zealand and around the world. Our Restaurant Manager Kathleen and her friendly and knowledgeable staff can match the perfect wine to your meal to create and complete the dining package.